The emperor is dead! Oh now! What a terrible tragedy. Thankfully, there's a whole host of possible successors in the many princesses that roam the land. But which one will be the next ruler? Which has the skills and personality to be able to lead the entire country? That's up to you and the other players, as each of you chooses to sponsor one to take the emperor's place. 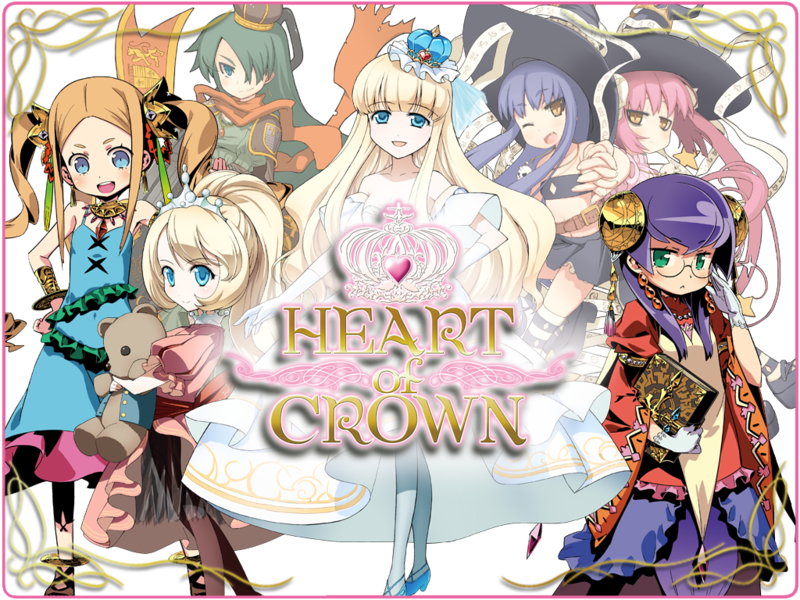 That's the story behind Heart of Crown, a new deck-building game from Japanime Games, up on Kickstarter now. The game adds to the world of deckbuilding games (one of my favorite types of games, I just want to say) by having both an "always available" marketplace of cards that you can always buy from along with a random space for cards that come from a larger deck. So you get a bit of "both styles" where there's a large set of cards always available, plus the randomness brought on by a deck of cards. Most deckbuilders lean heavily one way or the other, while Heart of Crown tries to balance things right about in the middle. With those, players build up stronger and stronger decks, looking to be the first one to reach the win conditions for the game and crown their princess as the new Empress. The campaign's doing rather well, as it's already 6x funded with still 21 days to go.